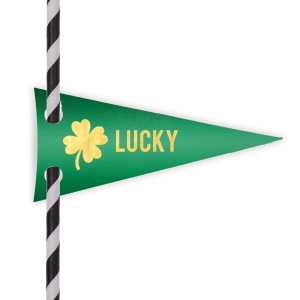 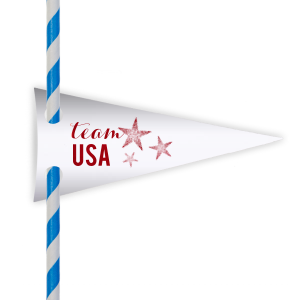 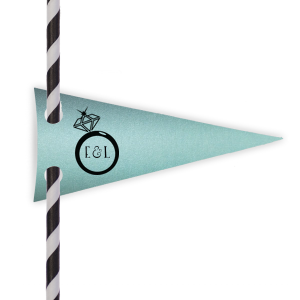 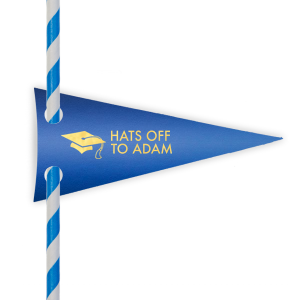 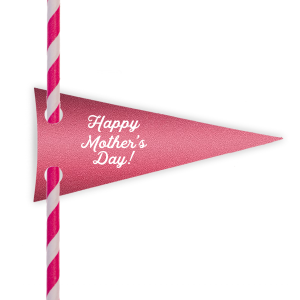 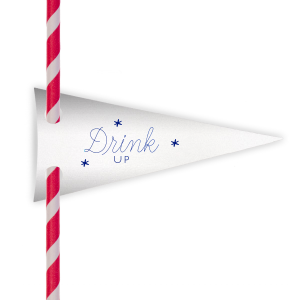 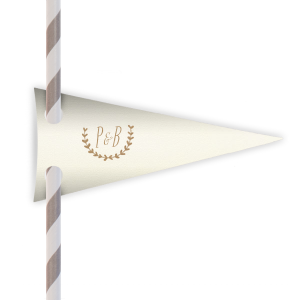 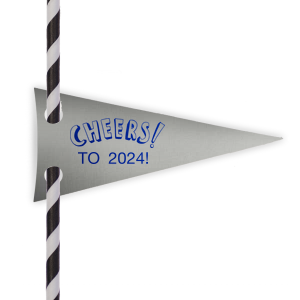 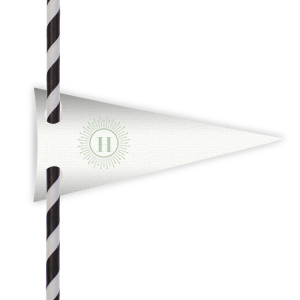 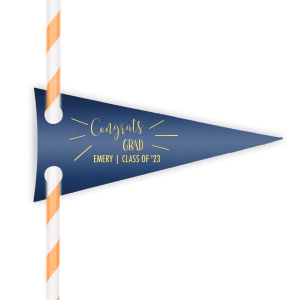 Make your event’s drinking straws fun and festive with pennant straw flags from For Your Party. 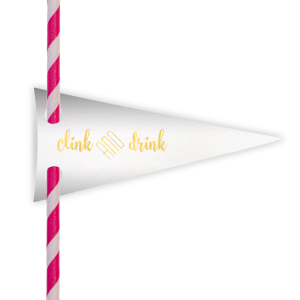 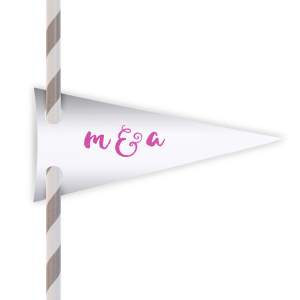 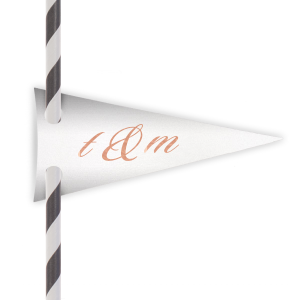 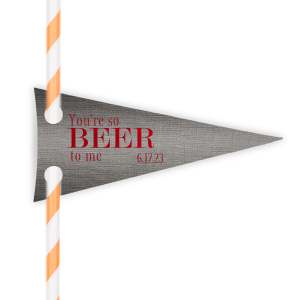 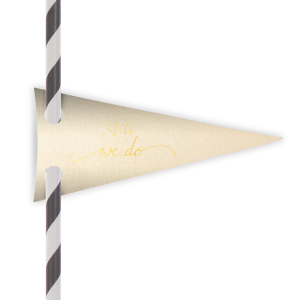 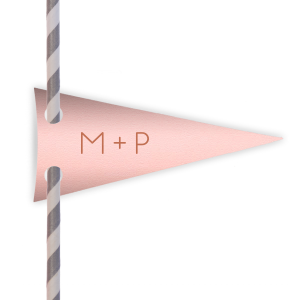 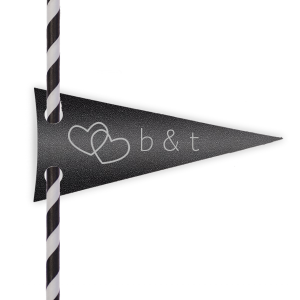 These personalized straw flags make the perfect playful accents with signature cocktails or any beverage you plan to serve at your wedding or party. Design your own using our on-page customization tool or customize one of our pre-made designs to coordinate with your event's theme.